"Mean Gene" Okerlund has died at the age of 76. The wrestling legend worked for the AWA, WCW and WWE during his hall of fame career. 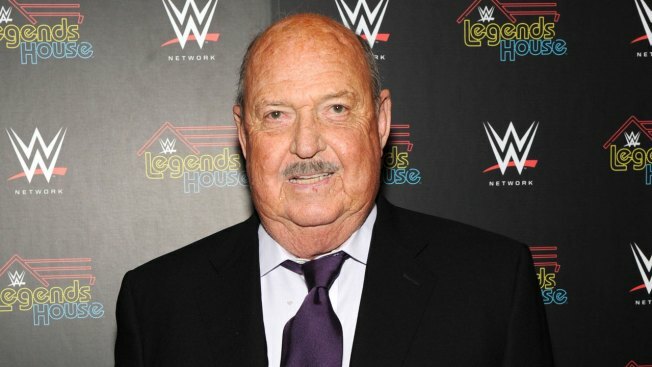 WWE Hall of Famer Gene Okerlund, the interviewer known to a legion of wrestling fans as "Mean Gene" when he came to prominence along with professional wrestling in the mid '80s, has died at 76, according to the WWE. In a statement announcing his death, the WWE recounted Okerlund, dubbed “Mean Gene” by fellow Minnesotan, Jesse “The Body” Ventura, first came to prominence by interviewing the greatest stars of the AWA. That included Ventura, Bobby “The Brain” Heenan and Hulk Hogan. In 1984 Okerlund made the move to WWE, becoming a staple on national cable television by continuing to interview the biggest names in sports-entertainment like Hogan, “Macho Man” Randy Savage, The Ultimate Warrior and many more. In 1993, Okerlund joined WCW as lead interviewer, continuing to interview legends of the sport. As news of his passing spread, fans and friends of the hall of famer expressed their condolences across social media.